Although we have provided lighting at Revolution Mill Studios countless times in the past, we have never actually had the opportunity to light the outside of the venue. On this particular day, we were able to pull off this lighting feat without getting wet. The rain held off long enough for us to successfully complete this undertaking. 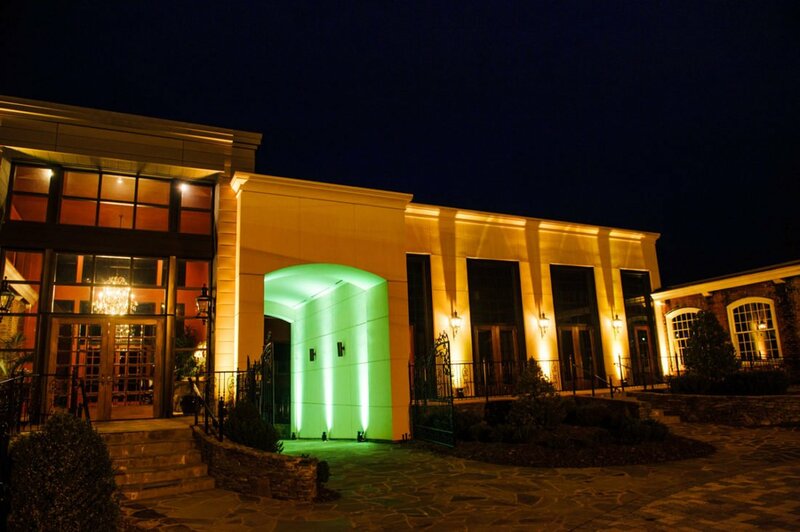 Our client was looking for the right touch of yellow-gold to make the brick façade glow and by adding a half dozen of our fully customizable LED uplights, we achieved the effect. 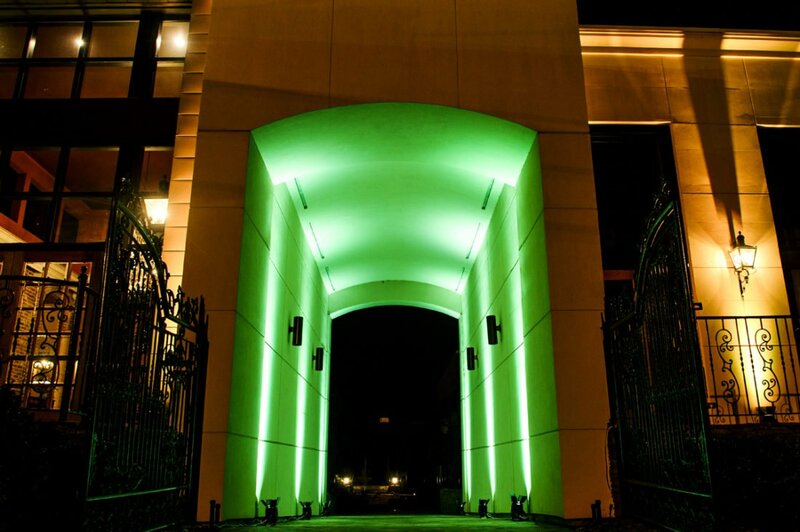 Also, we were also able to accommodate her request for a radiant green glow accent in the tunnel. Saying the client was happy was understatement; she was thrilled. And we were just as happy that the weather cooperated.